Sunrise over Bethany and the Mount of Olives in Jerusalem. * Take some of the firstfruits of the ground to the place where the LORD’s presence dwelt, and offer it back to Him. * This giving was to be accompanied with a verbal confession, testimony, acknowledgment of the grace and mercies of God—who alone had brought them from their place of insignificance and want, to this wonderful prosperity. * A confession of the LORD’s having been faithful to His Word, and faithful to hear and act when they were in trouble. Of His great Might, Strength and Faithfulness to those whom have responded to His call. * A confession that all of this prosperity had come from Him, and now, in gratefulness, we were acknowledging that and offering the first fruits back to the One from whom it had all come. Having done this “gratefulness” release of First Fruits, a door was opened for “worship before the LORD her God!” There are a number of words in the Hebrew Bible translated “praise,” but only one is used for worship of the God of the Bible, L’hishtakhavot (Root: shachah; Strongs 7812) . It means literally, “to bow down.” It has to do with humbling ourselves in expressing love and devotion and dependence upon the One Omnipotent, who is good, faithful and just. This grateful worship released Joy “in every good thing the Lord had given—and that Joy was to be experienced by the individual, his household, the Levites (the spiritual intercessors for the people), and the non-Hebrew “strangers”whom God would bring into their midst. Aram was an area which would today include northern Syria and Southwestern Turkey. Genesis 25:20 (also 28:5) clarifies that Rebekah’s father Betu’el was an Aramean. He was the son of Abraham’s brother Nahor. Either he or his father had evidently followed Abram to Haran (in Aram) from Ur and settled there. 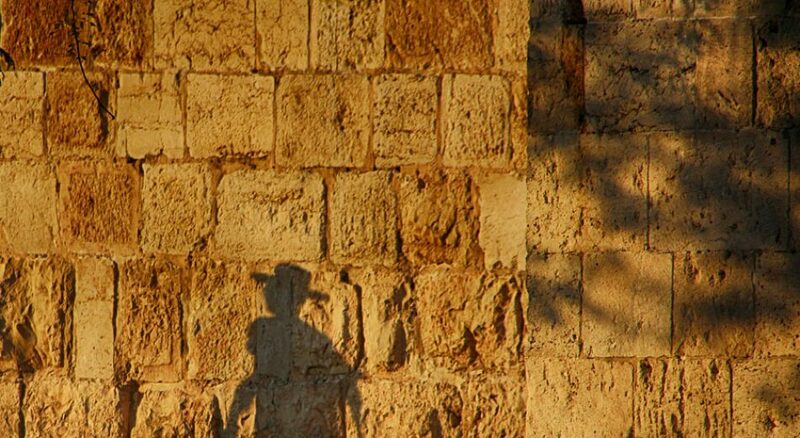 For Israelis, part of the “holy tithe” or “tenth” of their fruitfulness was to be yielded up as provision for those who were ministering full-time to God on their behalf, the Levites. But not all—part of the tithe was to assist those whom God would send to live alongside His designated stewards of the land (Israel); as it were, a kind of offering of hospitality. And also, a portion was to go to those in their midst who had no means of supporting themselves, the fatherless and widows (James 1:27 in the New Covenant, makes clear that this last continues to please the Father today!). As Israelis were faithful and obedient to graciously see to the needs of all within the areas which they had been entrusted to inhabit, they could then call upon YHVH their God to notice from His “holy habitation in heaven” (26:15), and to release His heavenly blessing over the people and the land! In these chapters Israel is given further instructions to those of Deuteronomy 11:26-32. Upon entering the land, she must travel to the two mountains outside Shechem (Modern-day Nablus). This was near to the place where the LORD had appeared to and spoke with Abram when first he entered Canaan (Genesis 12:7). Israel must now return there and verbalize what actions will bring Israel blessing in the Land—and those which will result in curses (This would be fulfilled under Joshua in Josh. 8:30-35). Curses for specific sins are listed in 27:14-26. Then come the promises of blessings for obedience to God’s commandments in 28:1-15. The curses for disobedience begin in 28:15 and continue through verse 68. This is one of the more disturbing passages in the Bible. By choosing to place one’s self outside of God’s protection, one opens one’s self to horrors—“Because you did not serve the LORD your God with joy and gladness of heart, for the abundance of everything, therefore you shall serve your enemies…” (vs 47). 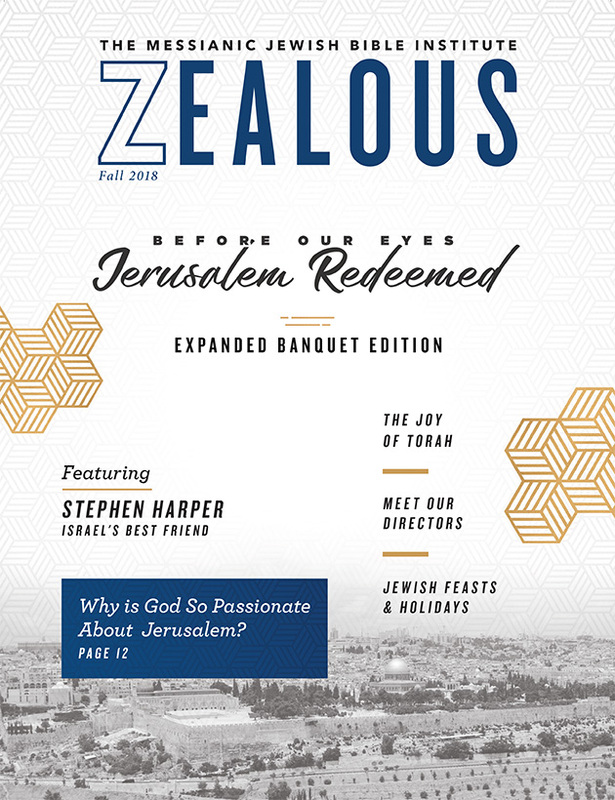 Tragically, much of the history of Israel may be traced in her choosing to walk out from beneath the “joy and gladness and abundance” offered her (eventually turning down the epitome and very source of these Blessings in her rejection of her Messiah), and wandering for centuries in the nations. During the Captivity of the Kingdom of Judah in Babylon, the prophet Daniel recognized this, confessing “All Israel has transgressed Your law, and has departed so as not to obey your voice; therefore the curse and the oath written in the torah (instruction) of Moses the servant of God have been poured out on us, because we have sinned against Him (Daniel 9:11). Yet, even as she has labored under that curse, there is an “everlasting love” which has “kept watch” over her long centuries of wanderings, continuing ever to “draw her in loving kindness” (Jer. 31:3). We believe there are many signs that those years are drawing to an end. This week’s Haftarah from Isaiah 60 portends her awakening, an awakening which heralds light and hope to the non-Hebrew nations as well! Twelve times the people are called to say this word. Its meaning is much deeper than a mere ‘period’ at the end of a prayer! In Hebrew, amen is made up of three letters which also form the root for the words faith, faithfulness, belief, and to believe. To say “Amen!” means, “I have faith in this”; “I believe this to be true” (Emet, the word for “truth” is itself etymologically related to this root). Believing God’s pronouncements regarding the sins listed in these verses, and affirming them to be true would bring life to those who obediently spoke them out. “For with the heart one believes unto righteousness, and with the mouth confession is made unto salvation” (Romans 10:10). *Isaiah 60:14. “Also the sons of those who afflicted you shall come bowing to you, and all those who despised you shall fall prostrate at the soles of your feet; And they shall call you The City of YHVH, Zion of the Holy One of Israel” (Emphases ours). It is significant that the most virulent of Israel’s present enemies refuse to use the name “Israel,” a name given by God to Jacob (the offspring of Abraham’s covenant-son Isaac) and his descendants. Rather than Israel, they choose to utilize in a derisive way the name Zion (“The Zionist Entity”). Neither will the deity they serve allow them to call on the name of the LORD (YHVH, Yehovah). This passage reveals that one day they will have discerned the light of Truth—and bow to the Holy One over all the earth, who chose to eternally associate himself with the three names they despised—Yehovah, Zion and Israel. “‘For I,’ says the LORD, ‘will be a wall of fire all around her, and I will be the glory in her midst’” (Zechariah 2:5). It is righteousness that exalts a nation. The final securing of Israel’s inheritance back in the Land will be their coming into that righteousness. “He made Him who knew no sin, to be sin on our behalf that we might become the righteousness of God in Him” (II Cor 5:21).